Description: Cheltenham UK, Emmanuel Parish Church 1992 Cover design by F.C.M. B[urbery]. . Small quarto yellow pictorial paper covers (sl.edge rubbing or curling) 140 recipes +pp index. 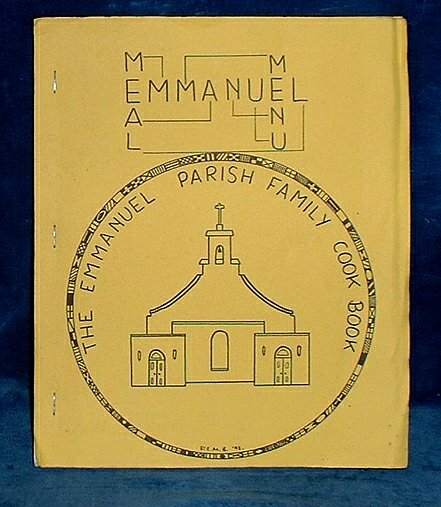 *Recipes contributed by members of the church / parish printed on a mimeograph machine with stapled spine V.G.